It doesn’t take an old time Syracuse fan to realize this is crazy. Not only are the current Orange still dancing, but the narrative surrounding the program has flipped on its ear. 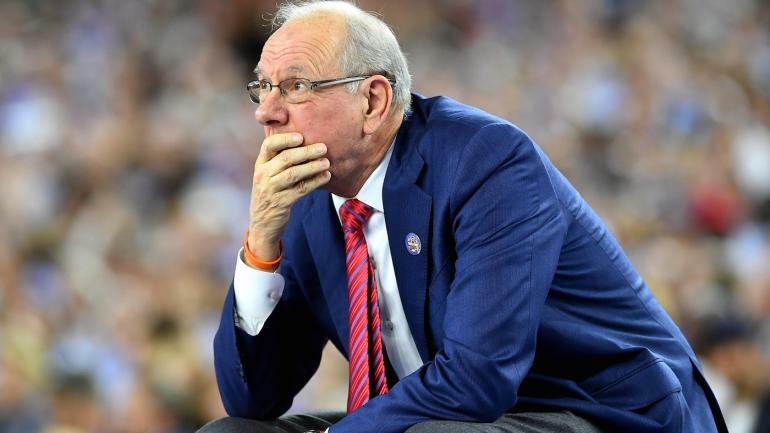 Now things are being said like, “Jim Boeheim always wins this time of year.” Well, that hasn’t always been the case (to put it mildly). Thank goodness for fellow ACC choke artist Virginia, because being the first victim of the 1-16 upset is worse than being the first victim of the first 2-15 one (that was Syracuse in ’91). We made fun of 4-seed Arizona for getting beaten by 13-seed Buffalo. Let’s forget about the time Syracuse got shocked by 13-seed Vermont in the “T.J. Sorrentine from the parking lot!” game in ’05. In ’88, a team that was within an eyelash of a national championship the year earlier got cooked by the 11-seed Rhode Island Rams in the second round. SU was on the wrong end of the 5-12 upset in ’05 against Texas A&M. As a three-seed in ’11, 11th-seeded Marquette upended the Orange. The pain of underachieving SU teams has stung badly for a long time. But since ’13, there has been a bizarre renaissance. There’s been two Final Fours, and this Sweet 16 miracle. But there’s also been never-ending bubble watches, a sure non-tournament season wiped out by probation, and missing the dance altogether last year. Don’t look now, but some believe Syracuse stands a chance against Duke. Low possessions. The confounding zone. Who knows? No matter what happens on Friday, this much is clear: SU is already winners. From March misery to March miracles. How sweet it is.